Neptune Aviation has developed and implemented a Safety Management System (SMS). It is a systematical approach to managing safety, including the necessary organizational structures, accountabilities, policies and procedures. 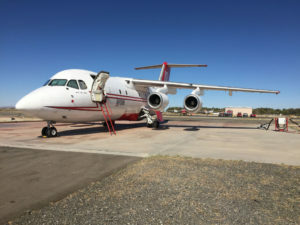 It is a United States Forest Service contract requirement and is the standard for the Air Tanker industry, based on FAA AC120-92. Neptune Aviation emphasizes safety in all Flight and Maintenance Operations.